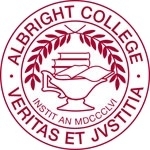 Prior to the formation of Stevens Strategy, John Stevens, as a senior member of another firm, provided the design and facilitation of a 5-phased strategic planning process, which was combined to serve also as the college’s self -study, resulting in full re-accreditation and a revitalized academic and financial future for Albright College. Dr. Stevens was invaluable in guiding the first organized strategic planning process at Albright College. His clear vision, direct approach, and proven models helped produce a strategic agenda that gave Albright both immediate momentum and the structures necessary for continued success in strategic planning. He helped us become better planners, giving us many of the tools we needed to do the job that needed to be done. The results went well beyond survival–Albright thrived as a result of solid planning.